A new photo has given us our first look at the upcoming Conjuring spin-off film, The Nun, reminding us just how terrifying the character is. Director James Wan’s The Conjuring was an instant horror hit, meaning it wasn’t long until a sequel was released as well as a spin-off movie, Annabelle. Due to the popularity of the franchise, the film even got its very own spin-off, Annabelle: Creation, (last year), and it doesn’t look like the Conjuring train is stopping any time soon with The Nun set to be released this autumn. The creepy character was of course introduced in the 2016 sequel The Conjuring 2 and hasn’t left our nightmares since. 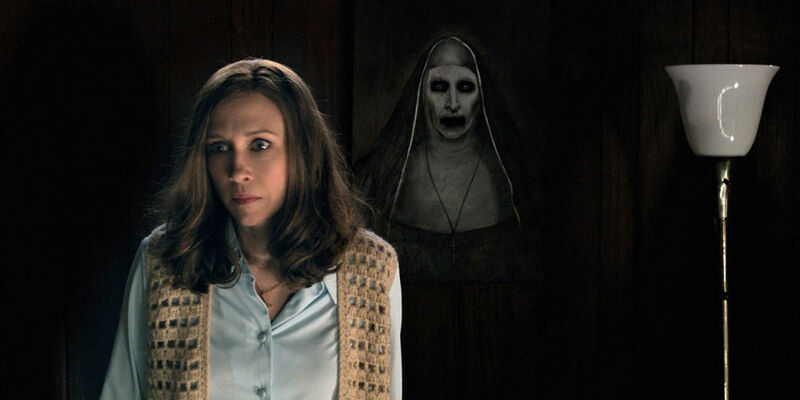 Known as Valak, the demon entity haunted Lorraine Warren’s (Vera Farmiga) dreams, showing her horrific visions of her husband Ed’s (Patrick Wilson) imminent violent death. Although it was implied Valak was an ancient being who only took on the form of the nun to taunt Lorraine, the existence of the spin-off confirms it’s a guise the demon has used before. With The Nun being set in a monastery in Romania in 1952, it makes sense for Valak to appear in this form again to terrorise the locals. A priest with a haunted past and a novitiate (essentially a nun in training) on the threshold of her final vows are sent by the Vatican to investigate a suicide at an abbey in Romania. Together they uncover the order’s unholy secret and risk their lives — and their souls — to confront a malevolent force in the form of a demonic nun as the abbey becomes a battleground between the living and the damned. It really does sound spooky! The Hallow‘s director, Corin Hardy, is helming the project with Wan producing and Annabelle writer, Gary Dauberman, penning the script alongside Wan. In a fun bit of casting, Taissa Farmiga, from American Horror Story, is playing the novitiate, sister of Vera from The Conjuring. Demián Bichir (Alien: Covenant) is taking on the role of the priest, while Game of Thrones’ Charlotte Hope is portraying the veteran nun. 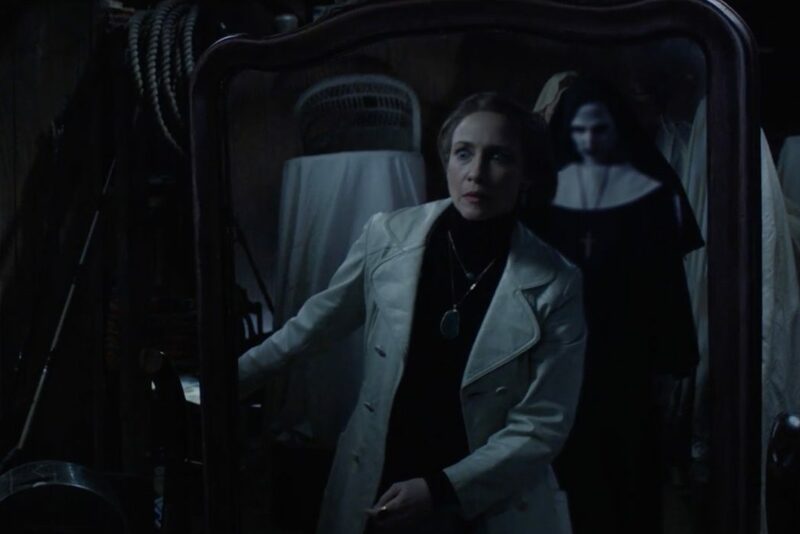 Valak isn’t the only nightmarish character from The Conjuring 2 who’s getting their own spin-off film. 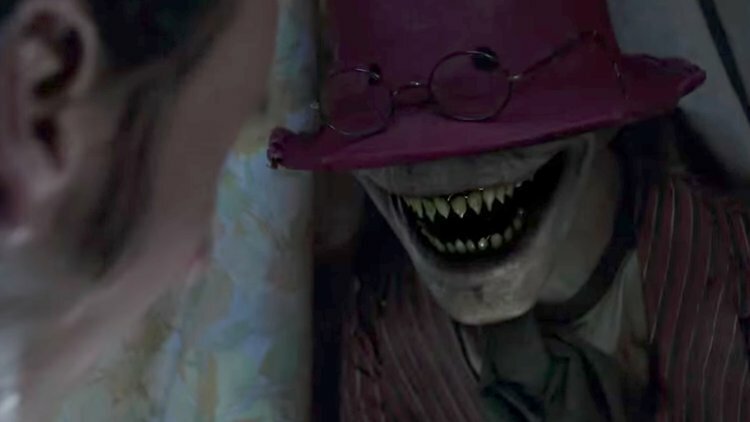 The Crooked Man, a villain inspired by an old English nursery rhyme, is also getting his own movie, which is currently in development. Although there’s no confirmed release date yet, it’s likely he’ll arrive in cinemas next year, letting the nun terrorise 2018. Mike Van Waes is on board to write the film, which takes its story from another, once again written by Wan – the man behind what is now being called ‘The Conjuring Universe’. The Nun will terrorise UK cinemas from August 10 and US theatres on September 7.